IJsselbloem Bed & Breakfast is situated next to the Hollandse IJssel in “De Krimpenerwaard”. Many walking and cycling possibilities are available. Fun and remarkable cities are within a short radius, such as Rotterdam, Gouda, Schoonhoven and Kinderdijk. Another possibility is to enjoy canoeing in the great ‘polder’ landscape. Dordrecht is the oldest city in Holland with its rich trading history and beautiful monumental buildings. The historic town is characterized by idyllic inland harbours, the Great Church and the unique three-river point at Groothoofd where the rivers Oude Maas, de Noord and Merwede flow together. 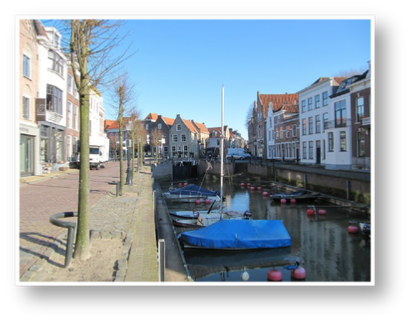 Dordrecht and its surrounding area is a great recreational experience for tourists. 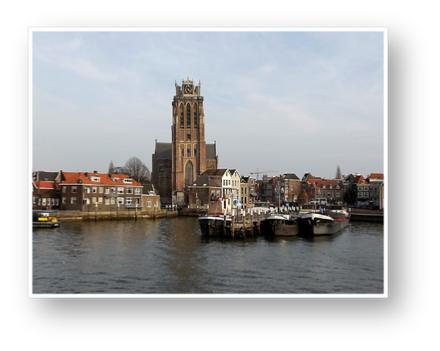 Dordrecht is easily accessible from our B & B by travelling by Waterbus (Fast Ferry) starting in Krimpen aan den IJssel.